We’re thrilled to have Ted as part of our workshop and ownership team. 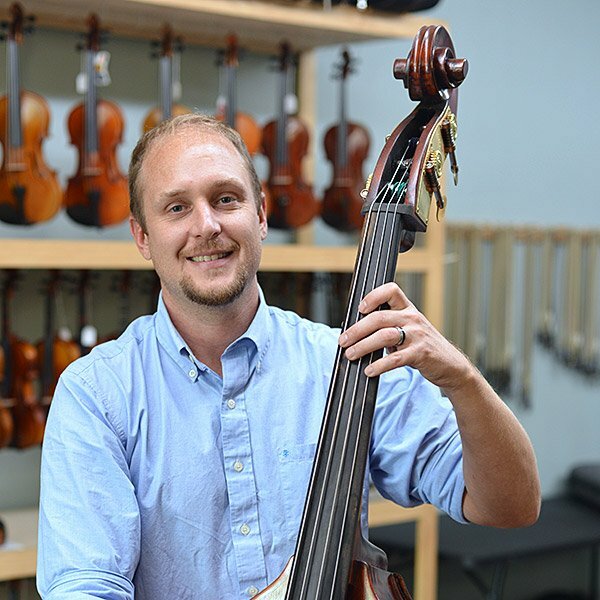 While his passion is restoring basses and playing the cello (quite well), his eyes light up when discussing pretty much any of our instruments. 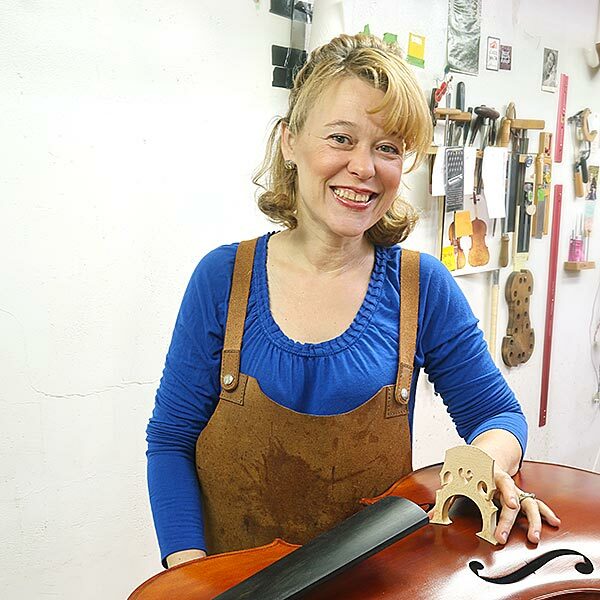 Whether you need a repair or are looking at a new instrument, you’ll love talking with Ted. He’s awesome. Steve not only has a passion for music (he loves to play the bass), but has a passion for helping young people experience for themselves the joy of performing. 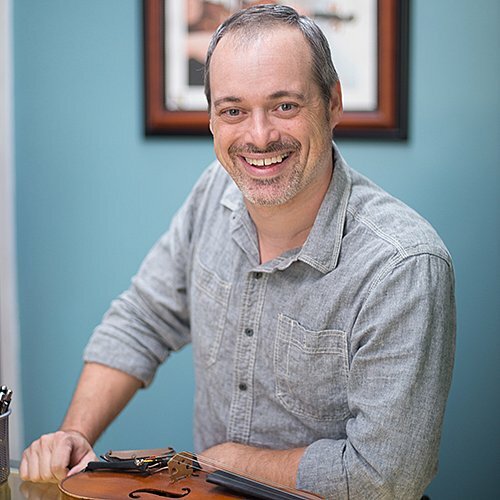 This explains both his degree in Music Education from the University of Missouri and his having taught orchestra in the Parkway and Rockwood school districts. We would rather spend time educating you about an instrument—even if you don’t end up buying it—than sell you the wrong instrument. If you end up with an instrument that’s not right for you–we have failed. Judy is Steve’s wife, and has been a part of Top Notch since we opened our doors in 2014. Judy is extremely artistic (art school graduate, a commercial and residential mural painter, etc. ), and while there are many reasons why we love her, here are two of the biggest. First, she’s detail oriented — something that we, as musicians, really need. Second, she’s the type of person who sees something needs to be done and then has not only the initiative, but also the energy, to do it. Right now she spends most of her time in the workshop, helping set up instruments and taking care of behind-the-scene details. And yes, this is why our workshop is now cleaner and better organized than it has ever been. 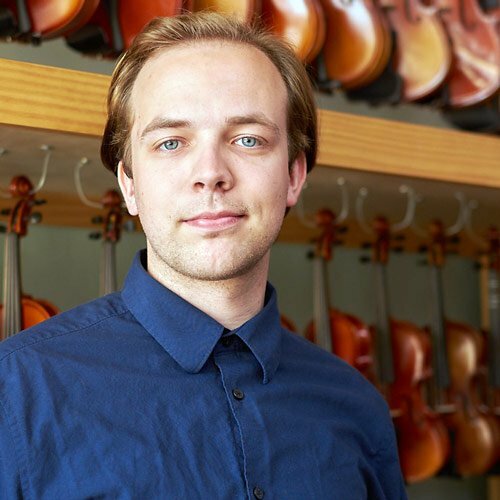 Chris Clark is essential to making everything at Top Notch Violins run smoothly. The rental process is easy for parents, and it’s because of people such as Chris. While he spends a lot of time on the computer, he does enjoy playing bass when time permits. Music isn’t his only passion—make sure to ask him about organic gardening! Quality. It’s the way we work. We know our reputation is built on the little things—and we take the time to do things right. Josef is a member of our workshop staff who helps maintain our large rental fleet and does many of the repairs that come into the shop. He is very friendly, knowledgeable and can sometimes be found on the sales floor where he is happy to answer questions about our instruments. An active musician, Josef is also an instrument maker who participates in a handful of other woodworking interests, from wooden boats to model aircraft. 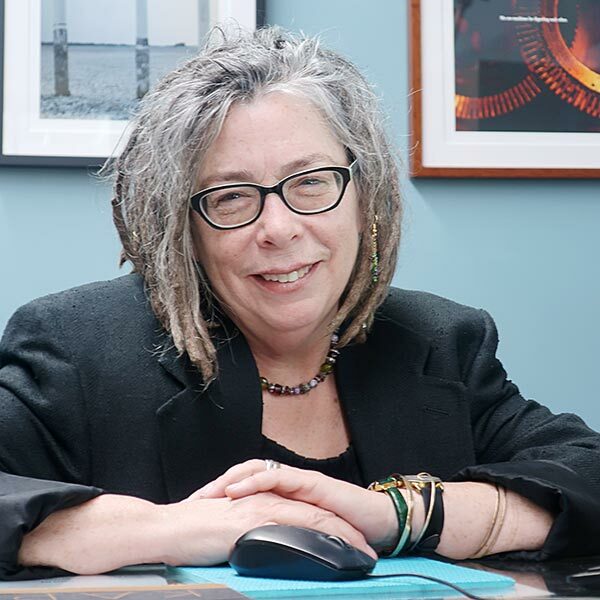 Susan is not only a joy to be around, but she is living proof that not everyone is either left-brain or right-brain dominate as she was somehow blessed with both. She is Ted’s wife, and Ted would probably say the smartest thing she’s ever done was agree to marry him. She is a poetry writer (right brain!) with a special gift for spoken poetry (a side project she’s working on is recording an album of her spoken poetry). And she also happens to be extremely gifted when it comes to databases and finances (left brain!). We greatly appreciate her help managing our growing rental database. Locally Owned - It Matters! While we officially opened our doors in 2014, we’ve actually been around for many years. Prior to Top Notch, our three owners worked at a different violin store here in the St. Louis area, one owned by an out-of-state businessman. While such an arrangement can likely work well in some situations, eventually it became too difficult for us to fulfill our customer-service vision with the restrictions placed on us by the (yes, we’ll say it again) out of state owner. While we suspected this would be the case, since 2014 we can say this: what an amazing difference it makes to have the business owners actually IN the business, working each day, helping customers, repairing instruments, and simply being a part of the community! Our children attend the schools here. They participate in orchestra. And yes, you’ll find half of our ownership team in our workshop. This is our passion. Each of us has a vested, long-term interest in seeing this store succeed. And we know the only way that will happen is with satisfied customers. We do not simply hire technicians to work on instruments. Our owners work in the workshop and are master craftsmen who have built instruments by hand. 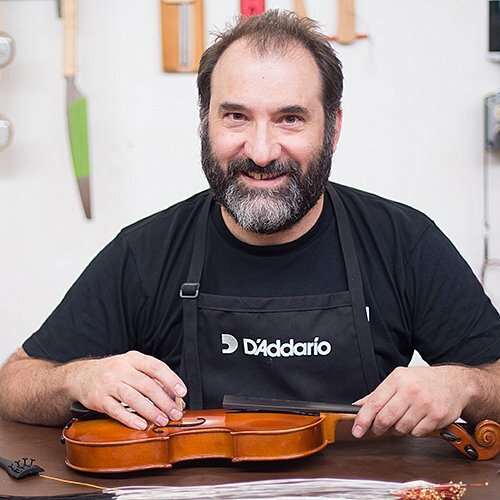 Each of our owners has an amazing and complimentary career of experience in his specialty, whether it’s repairing instruments, teaching children and orchestra, or running back-end operations. None of our employees are paid a commission. We’re more interested in finding you the right instrument than in simply selling an instrument—regardless of at which level (student or professional) you’re currently playing. From years of experience, we know that when you receive the service you deserve, you’ll be back. It’s not a complicated business model. And we know it works. Three years’ worth of rent be applied to the purchase of the rental instrument (we also INCLUDE free insurance against theft and accidental damage), and we also offer 100% trade-in credits when you are buying another instrument from us. Click to read more details. We told you about us – now we want to hear about you!